Look for a discount below from etsy shop Stitches 'n Giggles. This post is for my cousins and friends who keep asking me where to start with quilting. 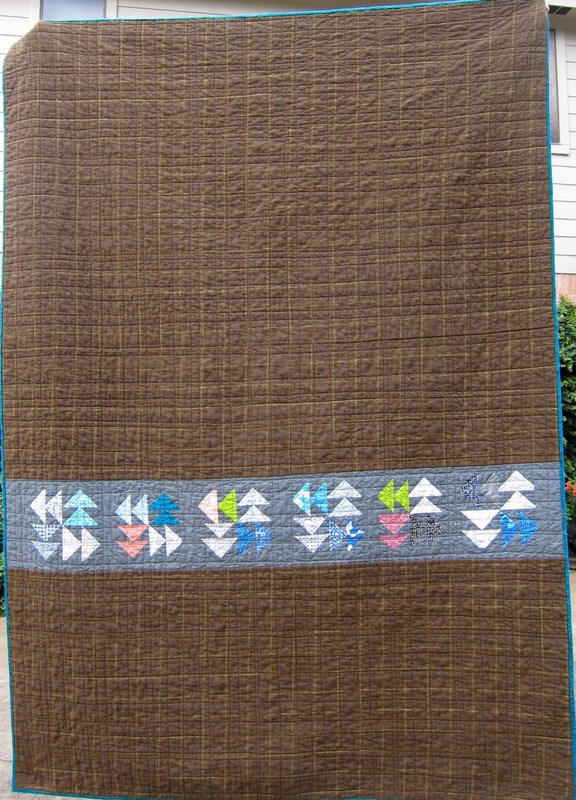 This lap quilt (58" x 74") is a good size to start with because it's not too big. I like to use 8 inch squares. This size quilt has 72 squares. You may want to add another row if you are tall. This quilt is a collection of my favorite fabrics designed by Heather Ross. There are several choices (in bold) you will need to make. Will I choose a line of fabric from a quilt designer or will I choose random fabrics that I like? 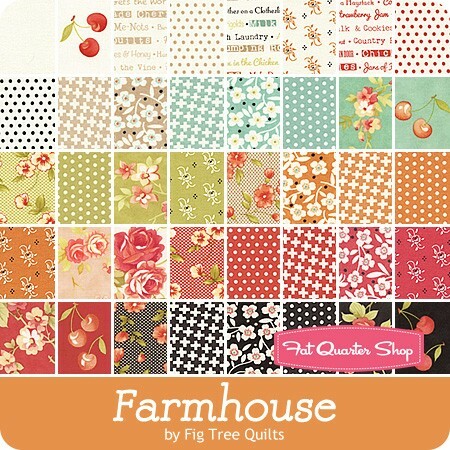 To get a good look at coordinating fabrics, go to fatquartershop.com. At the top left of their website, click on "precut fabric" to see a good selection of the latest coordinating quilting fabrics. Pick one you like and click on the charm pack picture. You will then see down to your right an option for "additional images". There you can view a sampling of all the fabrics in that line as shown below. I used this line in this quilt. I haven't used my farmhouse fabric yet, but Fig Tree's fabric lines tend to be the same warm colors. See this quilt. Varsity is Sweetwater's newest line out. Click here to see how this line sews up. Keep in mind who you are making this quilt for. Do you want boyish colors? or are you ok with some flowers? Don't forget you can always pull out a few fabrics if you don't like them, and use them in another project. 10% discount right now till Jan. 31 in her etsy shop. The code is BQBP116. If you want to use yardage (not precuts) you need to go to a quilt store to pick your fabrics. Will you purchase "precut" fabrics? or cut your squares yourself? 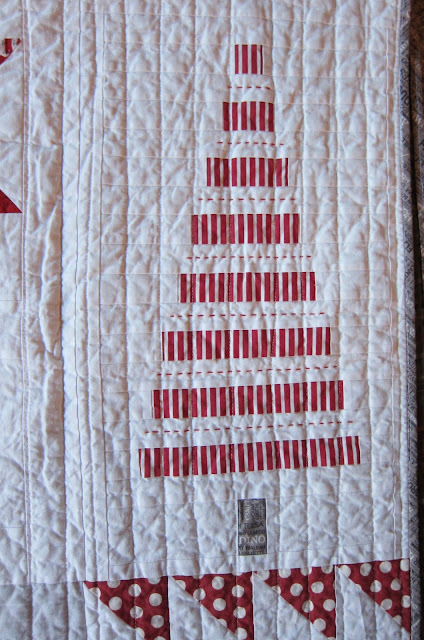 If you want to go the safe route and use precut fabrics for this quilt, purchase 2 "layer cakes" of your desired fabric line. This will give you 2 packages of 40- 10 inch squares. You will cut them to 8 inch squares for this quilt. If you are cutting your own fabric, and you are using 8 inch squares, you will want to purchase 1/2 a yard of 9 to 12 different fabrics. 1/2 a yard will give you 10 - 8 inch squares of that fabric. This is a little more fabric then you will need, but it gives you some options when you are laying your quilt out. If you are using precut fabric, you will not need to press your fabric prior to cutting. If you have purchased yardage, do NOT pre-wash fabric (my personal preference). Start by pressing your fabric, USE STARCH. I like Niagra non-aerosol spray starch found at my local Krogers grocery store. Its cheap and smells lovely! After pressing, lay your fabrics over a chair. You will need to cut your fabric using a rotary cutter, mat and rulers. If you haven't had experience with rotary cutting, study Leah Day's youtube video, and/or Pearl Soho's blog post. As they teach, do not use the markings on your cutting mat for measuring, place your ruler over your fabric and use the ruler markings for measuring. After cutting your 8 inch squares, lay them out on the floor or design wall (a large piece of quilting batting thumb tacked to a wall). Move squares around until you have contrasting fabrics next to each other. If you have a figure in your design such as the scooters in the picture below, decide if you want them all right side up or in random directions. Think about things like: do I want the stripes going in the same direction? do I want a pattern or randomness? are the darks balanced? are my focal prints balanced? Take a picture of it and walk away for a spell. I think it's fun at this point to bring in other family members and ask their opinion. You will quickly learn whether they have an artistic eye or not. When you are happy with the placement of your squares, you are ready for the next step. Be careful to use 1/4" seam allowance through out your whole quilt top. Generally, the tendency is to be off at the beginning or at the end of the segment you are sewing, so pay attention when you're starting off and ending. 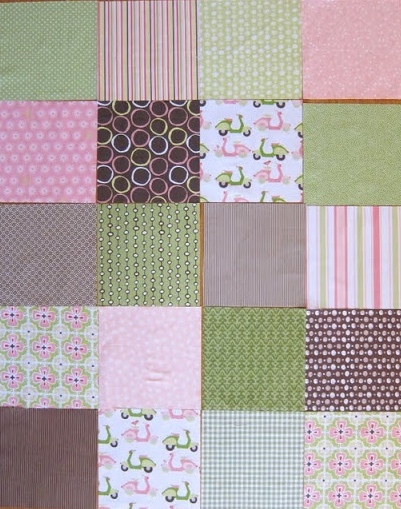 You can use the "stack and sew" method to piece your squares together. 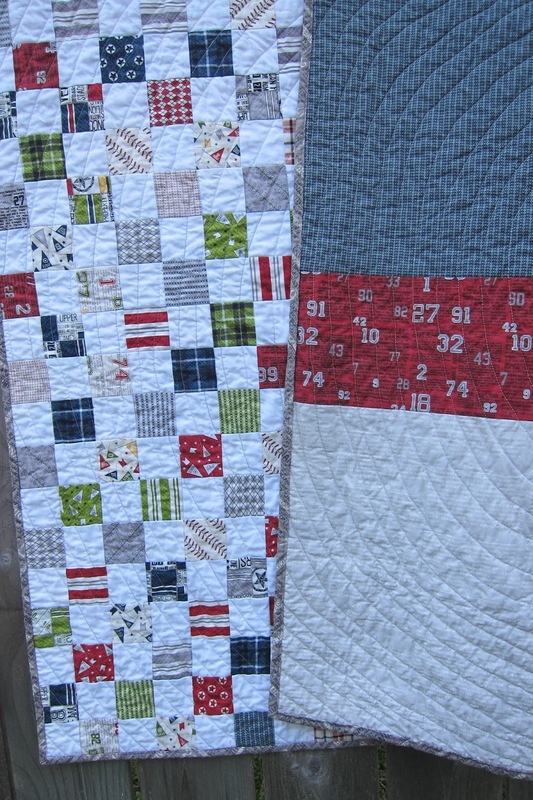 It is a great way to save time when piecing blocks. I need a little refresher each time I use this method, you can find the following link to it on the right side of my blog. 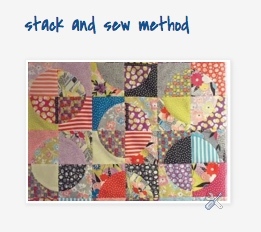 If using the stack and sew method, do not cut your threads as you move from segment to segment (as shown in blog post). Follow pressing guidelines in that post. If you are not using that method, sew 1 row at a time, pressing seams to one side. Sew the next row, and press seams to the other side. Continue until finished, alternating which direction you press. Then sew the columns together, nesting the intersections and pinning at those intersections. More decisions to make. You can make the back as simple as 1 piece of fabric, or your can create some kind of design. I like to use up my scraps on the back. There is no quilt back police. What ever you choose will be great! 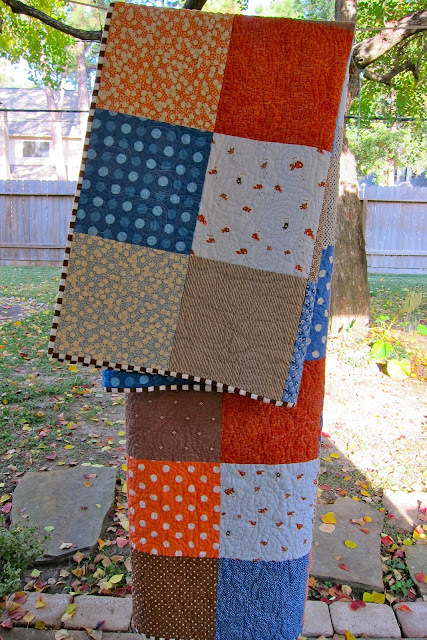 This back consists of 3 fabrics from the same line of fabric as the front of the quilt. I used left overs from another quilt to create this back. It's fun to incorporate the name of the new quilt owner onto the back. You can see lots of fun back examples here. Another thing to consider . . . where will this quilt live? cold weather? then consider a flannel back. Texas weather? no flannel, and consider using a cotton/poly blend for the batting (next section). In the quilting world, the term "quilting" refers to sandwiching the top, the bottom and the batting in between. Speaking of batting . . . you want to use a cotton batting since your quilting fabrics are also cotton. 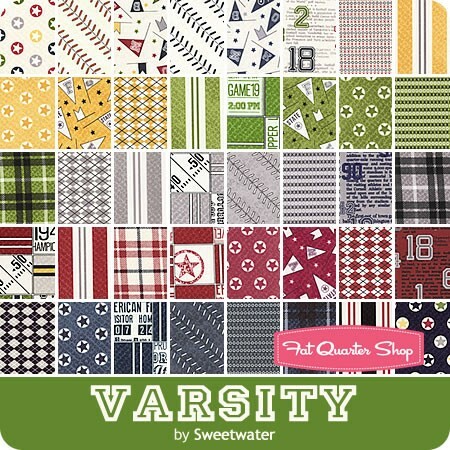 Warm and Natural batting can be purchased at your local sewing or quilt store as well as online. I like to use an 80/20 blend that I purchase from Winline because most of my quilts live in hot climates, but warm and natural works good for me too. Basic organic straight line quilting works well for a beginner quilt. Organic is the new modern look now, and refers to the fact that it's not exact and looks homemade. 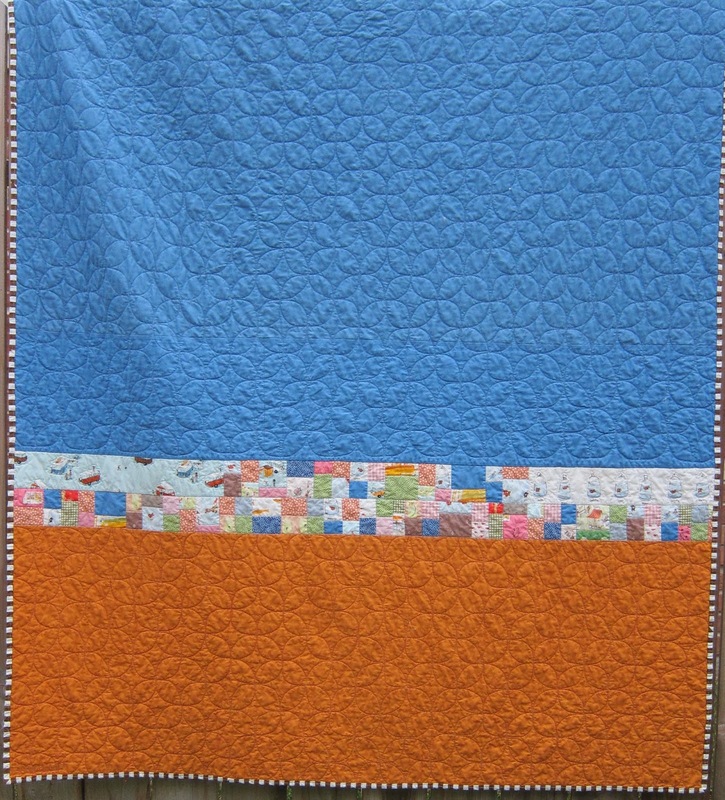 The cross hatch design is another easy quilting design for beginners. It's totally random lines going in both directions. . . . again, no quilting police here. Free motion quilting refers to a technique in which you drop your feed dogs on your sewing machine and use a darning attachment. You move the fabric around to create a design. It takes some practice, but adds a whole new dimension to your quilting experience. 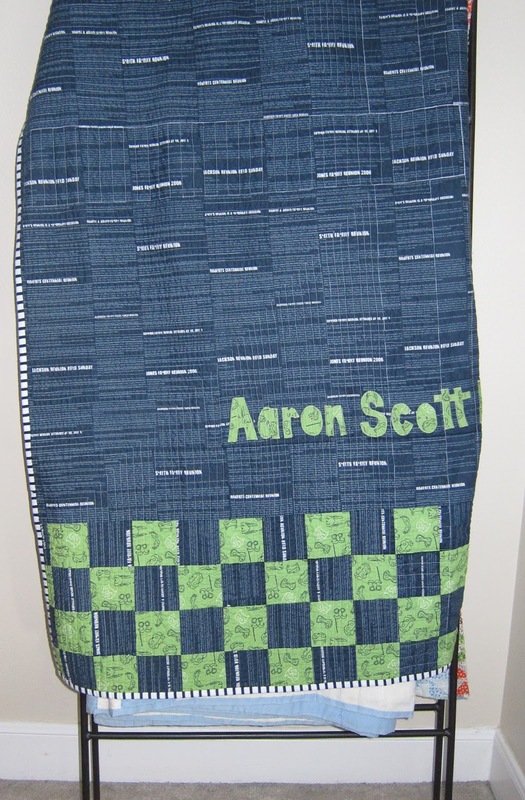 I used my regular sewing machine to free motion quilt this design. There are lots of tutorial and youtube videos out there to help you. 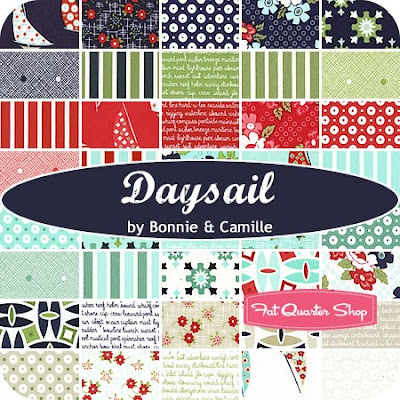 Day Style Designs has good basics on free motion quilting with your regular sewing machine. 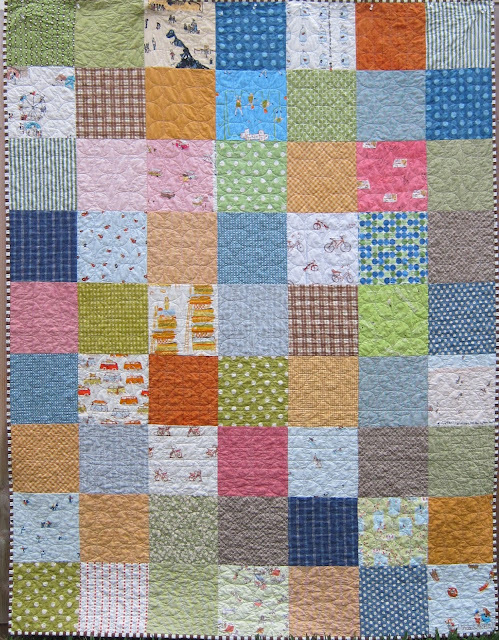 Here is a link to her motion free quilting designs on flickr. 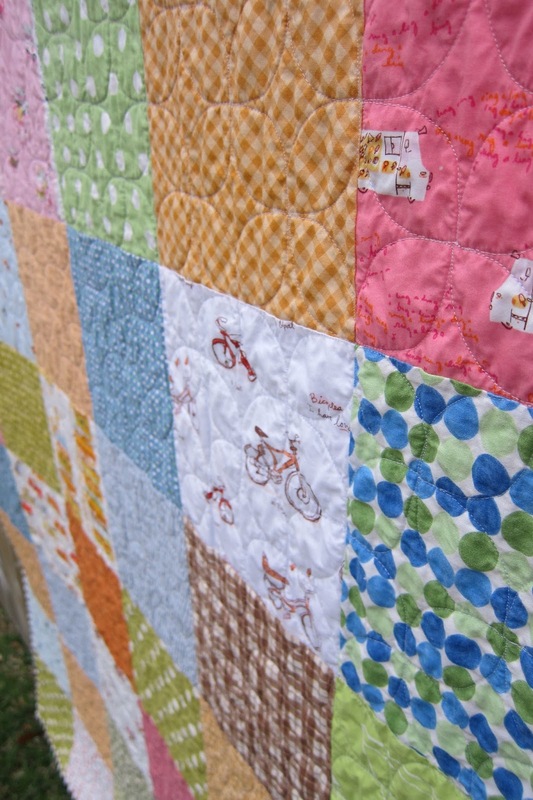 There are lots of fun designs you can quilt on your machine at home. Some of my favorites are here and here. Ready for binding? After quilting, you will be ready to bind your quilt. Follow this post. Stripes make a fun border. Scrappy borders are also fun, especially with the 8 inch beginner quilt. I usually don't pick my border fabric until I'm way into my quilt. Don't be afraid to be a little crazy with your binding choice. As a beginning quilter, use pinterest or another way to start gathering ideas you come across for future reference. Create pinterest boards such as: quilts I like, quilting tutorials, blogs I like, favorite fabrics, free motion quilting designs, quilt back ideas, etc. I did have a good sewing back ground, but I basically learned to quilt from what's available online . . . you can too! Melissa at Polka dot chair has put together some posts for basic quilters. Cherry Pie is a beginner quilt by "crazy mom quilts". crazymomquilts FAQ -great info there! Amy has some great information for beginning quilters on her blog, Diary of a Quilter. Strip quilts also make good beginner quilts. Missouri Quilt Company - has a video tutorial on just about every quilt pattern you can think of, and they're free!. You can pretty much enter into the pinterest search engine anything you want to learn about. And I'd love to see pictures of your beginner quilt!! Very pretty! I will have to browse here more later when I have more time. This is a great beginner quilt making post. Great quilt!